Lorenzo Vitturi was born in Venice in 1980 and lives and works between London and Milan. Vitturi studied photography and design at IED in Rome. Formerly a cinema set painter, Vitturi brings this experience into his photography practice, which revolves around site-specific interventions in accurately researched locations. Solo exhibitions of his work have been held in Milan, Toronto, Hyeres, France, Luxembourg, New York, London, and Amsterdam. Originating as documentary photography, Lorenzo Vitturi’s “Dalston Anatomy” series catalogues Vitturi’s compulsion to collect and photograph the people and objects found at the Ridley Road Market in East London, England. Instead of straightforward documentation of the people and objects he encountered there, however, Vitturi collected objects from the market and left them to rot, manipulated them with pigment, or deconstructed and rearranged them into compositions, finally photographing them against discarded market materials. The people of the market were photographed as well, their identity masked by positioning, costuming, and surface manipulation. For Vitturi, his method of working and presentation speaks to the ephemeral nature of this particular time and place in London. 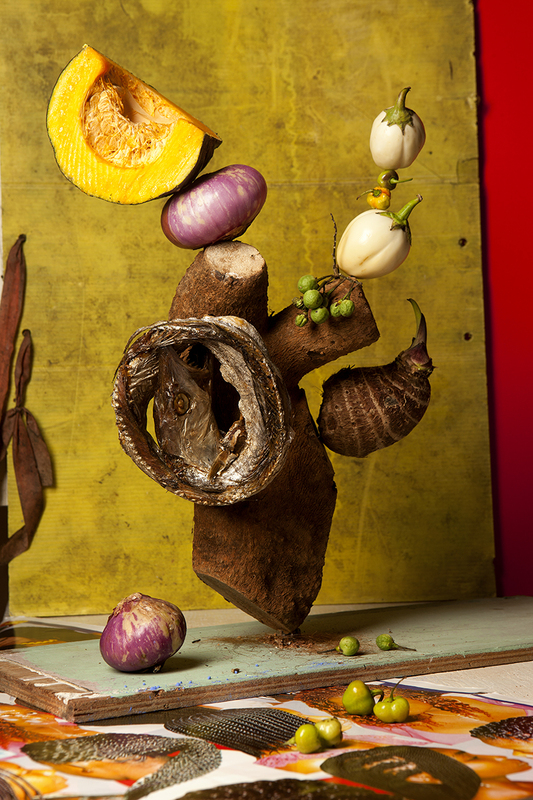 Lorenzo Vitturi's work appears courtesy the artist.